I like to call this the simplest smoothie, with only four ingredients. 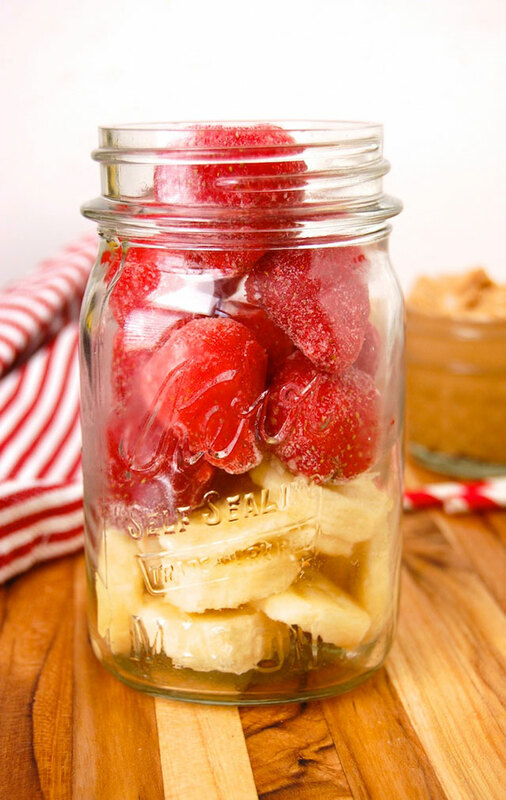 It’s a classic combination, strawberries and bananas, which is easily customizable. 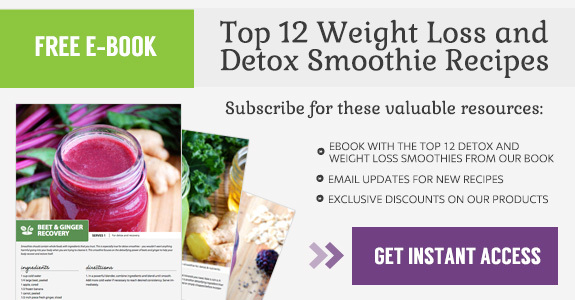 The creamy and sweet smoothie is one you will want to make again and again. 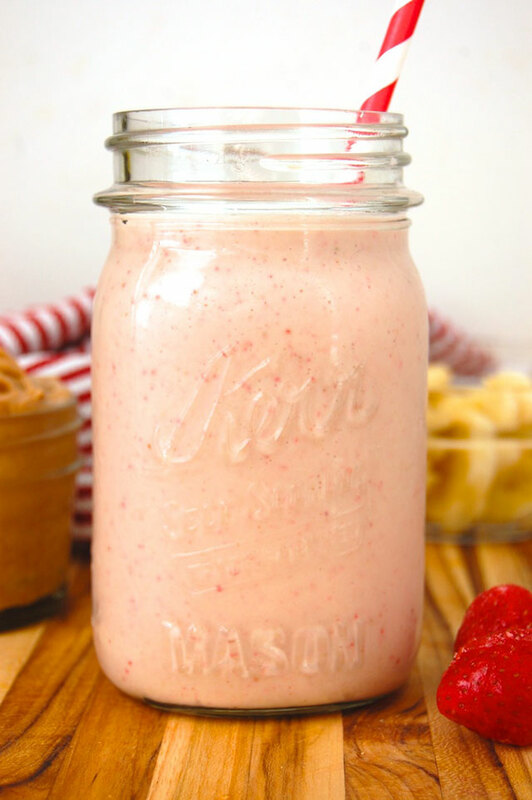 This healthy strawberry banana smoothie is ideal for starting off your day with a wholesome breakfast. It takes only minutes to prepare, so it’s perfect for rushed mornings or sipping on the go. It gives you an energy boost first thing in the morning, better than a heavy breakfast. And it tastes downright delicious. 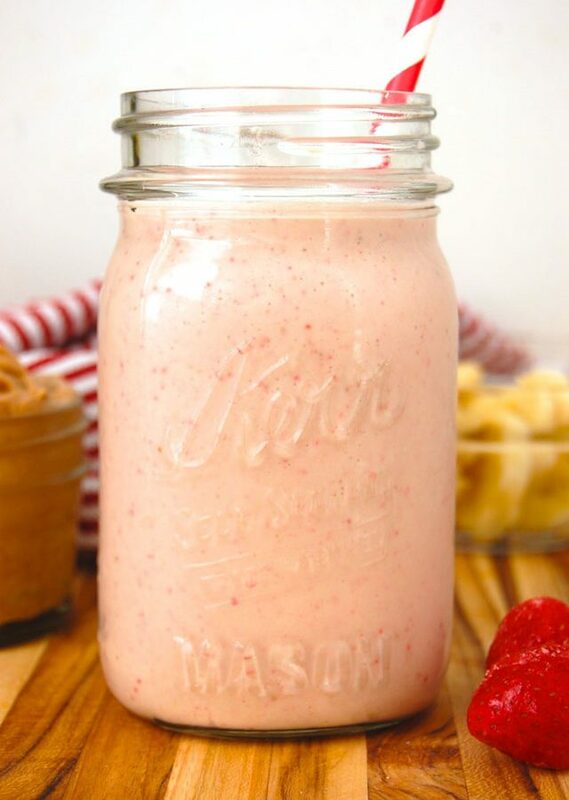 Sweet strawberries that are fresh or frozen can be added to the smoothie. Using frozen berries results in an ever so slightly tastier smoothie, because frozen strawberries negate the need to add ice cubes, which further dilute the flavor. Fun fact – although widely believed as such, strawberries are not a fruit. Since their seeds are on the outside, they are really runners, with an average of 200 seeds per berry. The health benefits of sweet little strawberries are numerous. It may come as a surprise, but strawberries are actually packed with immune-boosting vitamin C. While oranges usually get most of the attention for this vitamin, one cup of strawberries meets the daily recommended intake. Strawberries also provide smaller amounts of fiber, folic acid, potassium, manganese, and the antioxidant anthocyanin (try to say that five times fast). Anthocyanin gives strawberries their red color and works together with other flavonoids protect against cancer and tumor growth. Bananas give the smoothie its smooth, creamy texture. More importantly, they provide the main fiber in the drink, which helps to keep you feeling full and satisfied. As many of you might know, bananas also provide potassium. When you have this smoothie for breakfast, potassium is the mineral providing your body with energy. It also builds strong bones and reduces the risk of heart disease. 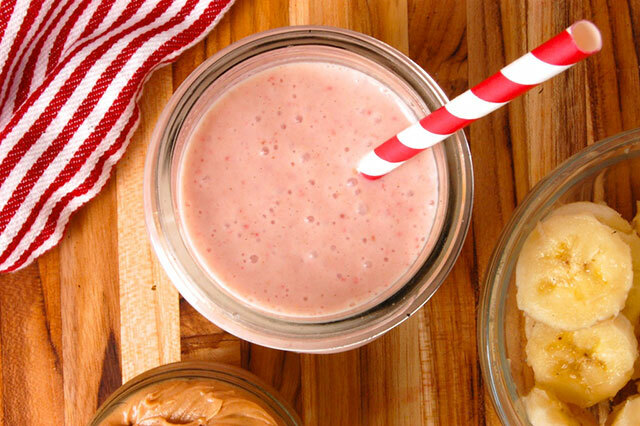 This straightforward smoothie is one that should be a regular in your breakfast rotation. The ingredients may be simple, but they are mightily good for you.